Another story of a life transformed through the power of the gospel! “Would you tell me some Bible stories?” Lin* asked. While going to school in the States, she had been exposed to some Christianity, and she was interested in learning more. I suggested that we go through the book, The Lamb, as a way to reach this searching heart. After going through the book together with me in three separate sessions, she received Christ as her personal Savior! It was so exciting to take her through and show her from Scripture that He DID do it Himself! Praise God! When newcomers to the Bible, like Lin*, encounter God by journeying through the storyline of Scripture, the Holy Spirit reveals truths about God’s holiness, our sinfulness, Jesus’ provision, and that there is salvation for everyone who believes. Cody grew up in a house where God didn’t really exist. He had great parents who taught him things like “don’t cheat, don’t lie, don’t steal, show respect to others, respect your elders…” However, the family never went to church. The name of God was never spoken. Though Cody endeavoured to live a respectable life, he was ignorant of the true Source of right and wrong. Then Cody met Julia. It didn’t take long before the two were married, and shortly after, Julia started a new job. She came home the first day and talked about how great everyone was at her new workplace. One person’s name seemed to stand out in particular. Her name was Liz and, “Wow! She is so nice!” were Julia’s words. Time went on but whenever Julia talked to her husband about the opportunity, he was still resistant to the idea. When she asked why, Cody told her, “I don’t need to go to a Bible study or growth group or attend a church to have a relationship with God.” Looking back, Cody calls that “the biggest cop-out lie” he’s ever told! It’s amazing the sort of impact one book can have. 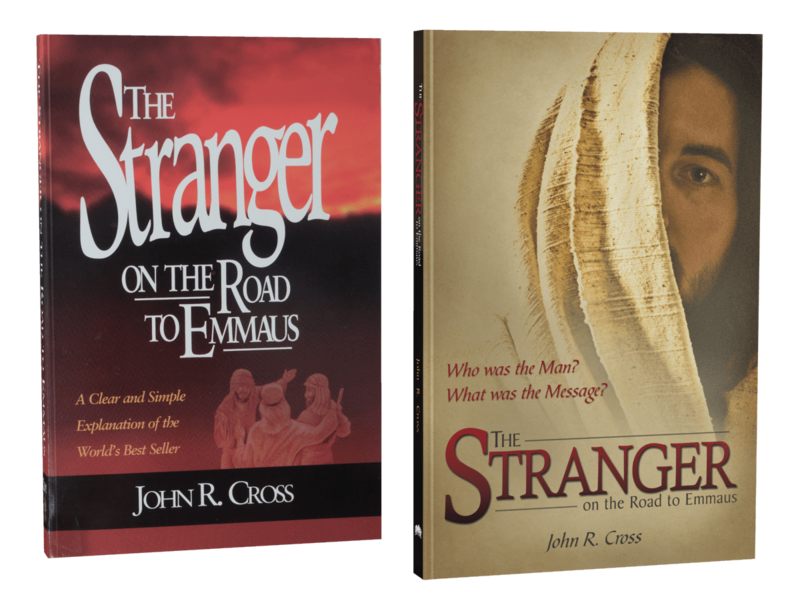 20 years ago, in 1997, the book The Stranger on the Road to Emmaus was published. At the time, author John R. Cross and the men working with him had no idea that it would be the catalyst for a global ministry and how many people would come to faith in Christ through it. It was just one book with a simple message: a straightforward, systematic presentation of the gospel from creation to the cross. The writing of The Stranger was drawn from decades of missionary experience of those working among tribal people in Papua New Guinea and elsewhere. These tribes, previously unevangelised and ignorant of the Bible’s message, responded well to a chronological presentation of the gospel. So well, in fact, that whole villages were putting their faith in Christ, without the age-old problems of syncretism and “rice Christians.” When the Bible was presented from creation to Christ, it made profound sense. The people would understand and believe. Lives were transformed. But was it only tribal groups who responded so well to the creation-to-Christ method? What about the Western world? As John and his colleagues interacted with people back home in North America and around the world, they realized that some of these people were just as ignorant of the Bible as the tribal people. They knew nothing about God. They didn’t understand who Jesus was and why he came. We live, for the most part, in a post-Christian culture. The Stranger on the Road to Emmaus was, in a sense, an experiment. It was a book that used the same method that had proven so effective with tribal groups—a chronological approach to explaining the gospel—except this time for the Western world. It was designed so that it could be given away or used to guide people to a clear understanding of the Bible. But would it be relevant and effective? The story of Cain and Abel is a familiar one, but do we realise its significance in the big picture of God’s redemption? Just why was Cain’s offering rejected? What made Abel’s offering so special? In this clip from By This Name, we learn about the significant difference between the brothers’ two offerings. Chunhua’s* knowledge of the Bible was spotty at best. As a little child in China, she remembered her mother talking about Christianity, but she had no grasp of what it meant to have a relationship with God. This all changed when she came to Canada as an international student. The experience of living in a foreign country was one she had looked forward to for years. But when the excitement and novelty wore off, Chunhua found adjusting to the new culture and language difficult. She was lonely, having never been away from her parents before. It was at this critical juncture of her life that she met a group of exuberant Christian young people who ran a ministry on campus for people like her. 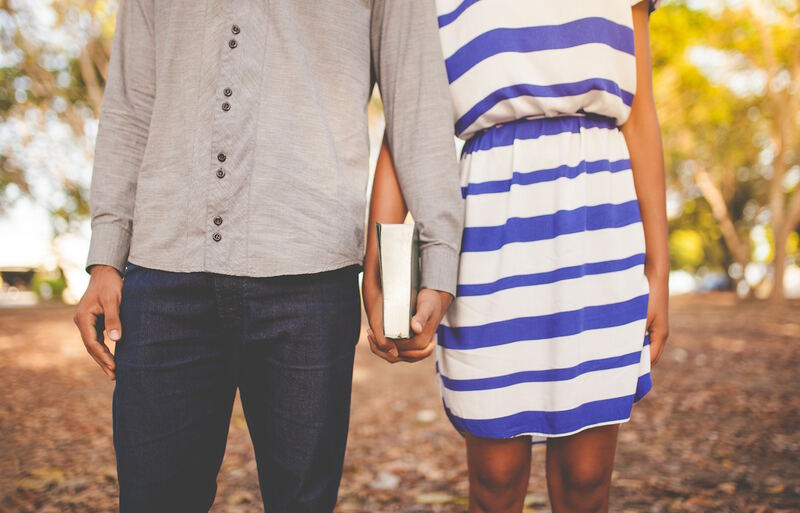 They were about bringing college students together in meaningful and supportive friendships, all the while introducing them to the message of the Bible. As part of their get-togethers, they would show the Videobook of The Stranger on the Road to Emmaus and they invited Chunhua to join them. At first, Chunhua hestitated to commit, but the friendliness and sincerity of her new friends finally won her over. She started watching the DVD series together with other international students. She loved what she learned. Chunhua discovered that, as a result of what Jesus did on the cross, she could have a relationship with God as her kind and good Father. This meant everything to this young girl living alone in a foreign country. Speaking of the video sessions, she says, “Without it, there would have been no possibility for me to start seeking Christ and establish my own belief.” Now, as a result of the welcoming friendship of her Christian friends and their faithful witness, she understands and believes the gospel. What a testimony to the great opportunity we have to reach into the lives of international students and immigrants! 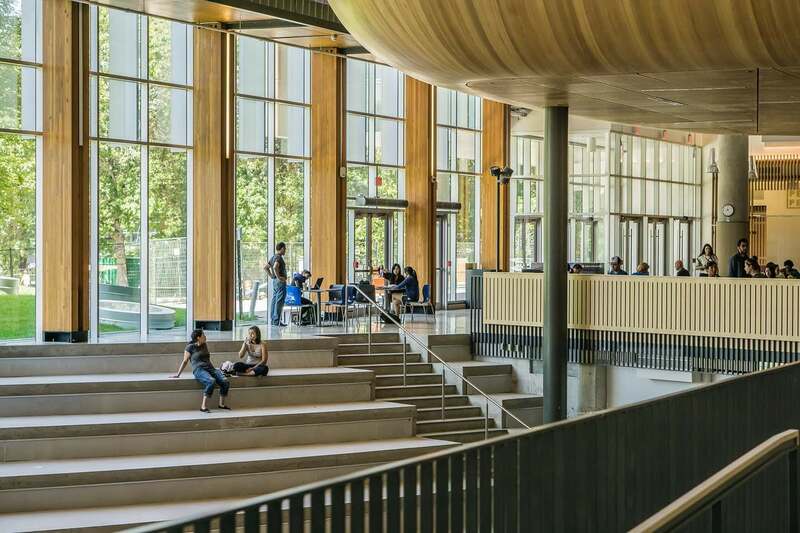 If you want more ideas of how to do so, as well as other testimonies, check out our full-length article How GoodSeed tools can help you reach International Students. It seems so praiseworthy to do your best, pull yourself up by your bootstraps–all in an attempt to make yourself better in God’s sight. But are our efforts really effective? Can we deal with our sin problem on our own? In this clip from By This Name, we learn the difference between our efforts and God’s atonement. Ahhhh! Summer vacation. 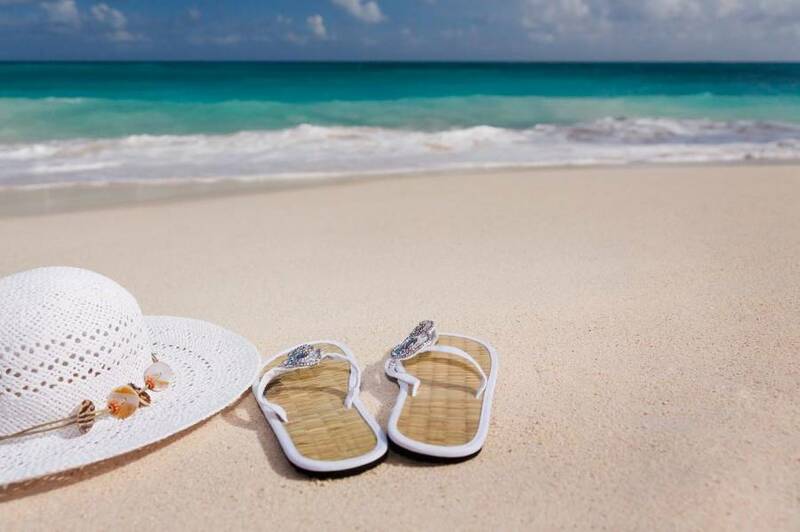 Warm sand between my toes, the hot sun driving the memory of the cold winter far, far away. Every year, I look forward to those few days we are able to get away and relax as a family. Last summer, we had an opportunity to stay in a house near the ocean. It was a wonderful time and we treasure the memories we made with our children. But I also have a few regrets. You see, my husband and I try to be purposefully prepared to share the gospel no matter where we go. And while we needed a break from work and the pressing matters of life, we had no desire to take a break from our role as Christ’s ambassadors. We usually keep a well-stocked Be Ready Box in our vehicles, with a variety of gospel materials we can easily give away to those we meet. And when we know we’re going to be staying with someone or meeting new people, we usually grab a few extra books specifically geared toward them. Our regrets began when we borrowed a larger vehicle for our trip to the coast last summer. You see, we forgot to transfer our Be Ready Box over to the borrowed van. We also forgot to pack any extra books to have on hand for hostess gifts and the like. And there were other, less obvious, missed opportunities. We usually leave a book behind when we stay in a hotel. Sometimes we might give one to our waitress or we might have handed one to the gentleman we chatted with during a long parade. We never know how these materials could impact a person’s life, so we try to take every opportunity we have to leave something of Christ behind. This time we were woefully unprepared. Did we have other options for sharing the good news? Yes, for sure. Giving a book is not the only way to share the gospel, by any means, but in each of our encounters, it seemed to us that having a book on hand would have made us more effective ambassadors. It would have been so simple and natural. Because we never actually met our hostess (our stay was arranged through a friend), we didn’t ever get to speak to her face-to-face. We were unable to get her mailing address so we could send her materials. With the couple we met numerous times, the conversation was quickly steered away from any mention of God. While they were friendly, they obviously didn’t wish to talk about such a personal topic with casual acquaintances. A book would have been much less confrontational, easier for them to accept and they would’ve been able to read and consider the material in the quiet of their own home. We were able to talk some about what we do with GoodSeed with the family we met near the end of our stay, but on a busy beach, with seven children between us to keep track of, it would have been much more effective to simply hand them a book for them to look at when life was a little less hectic. So, with these regrets lingering from our last trip, I can guarantee you our family plans to pack a little more carefully for our next vacation! Are you prepared for the individuals the Lord might bring your way this summer? Sometimes, our days away on vacation give us unique opportunities to share the good news with others. We just have to make sure we’re ready. So, here’s to a warm summer of good memories, and no regrets!